Malcolm Gladwell's Blink, published in January and one of the best-selling books of 2005 to date, is a cogent, thought-provoking analysis of a number of complex phenomena (much like 2002's The Tipping Point). 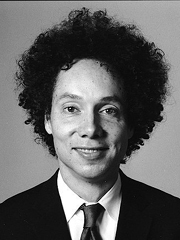 Blink is subtitled "The Power of Thinking Without Thinking," and Gladwell's three-part thesis can be summarized as follows: 1) We make snap decisions all the time, based on a tiny amount of information (such as a first impression, or an instinctive feeling), something Gladwell calls "thin slicing"; 2) We mistrust these decisions, but they're often demonstrably better than ones resulting from lengthy deliberation (i.e. "thick slicing"); and 3) Our instinctive judgments can mislead us, so it's important to understand when and why that happens and to train ourselves to make more effective use of them. I think Blink has much to tell us about how we act online and how websites should be designed, starting with the idea that site users readily and frequently make snap judgments, or to use Gladwell's term, they "thin slice." The adaptive unconscious is not to be confused with the unconscious described by Sigmund Freud, which was a dark and murky place filled with desires and memories and fantasies that were too disturbing for us to think about consciously. This new notion of the adaptive unconscious is thought of, instead, as a kind of giant computer that quickly and quietly processes a lot of the data we need in order to keep functioning as human beings... [As Wilson writes:] "The mind operates most efficiently by relegating a good deal of high-level sophisticated thinking to the unconscious...The adaptive unconscious does an excellent job of sizing up the world, warning people of danger, setting goals, and initiating action in a sophisticated and efficient manner." Chapter One of Blink is devoted to demonstrating that thin slicing works, that people can and do often make better decisions when they act instinctively. I'm not going to debate the efficacy of thin slicing here--if you care to argue with the concept, I'm sure you can find a willing partner somewhere. I'm simply going to take it as a given that people do thin slice, and they will continue to do so because they find that it works well. It's clear that the online environment is one in which our adaptive unconscious can play a significant role. When users arrive at your website--especially, but not only, first time users--they're thin slicing. They're going to make relatively fast decisions on the basis of relatively little information, to determine how--or even whether--they should proceed. To be effective, your site must anticipate your users' snap judgments and meet with their approval immediately. You probably won't have many chances, so your site has to make the most of every opportunity. Two factors are raising the stakes in this process, making it even more likely that users will thin slice online and act instinctively, rather than deliberately. First, the increasing number of websites competing for users' attention means that less time is available to devote to understanding any one site. Users avoid information overload by making fast decisions, and they do that by thin slicing.